Yesterday I was at Lowes and noticed the amount of different types of spray paints that were now on the market. Milk paint, sea glass, chalk paint, glitter finishes, sealed finishes- basically, you name it, it’s around. And while at the time I didn’t grab any, today while on a “let’s get inspired and make something” Hobby Lobby walk through, I saw a stack of different paints again and dedicated to do some experiments so I could tell you if any of it actually works! I am happy to say, an hour, 5 jars, and 2 dirty hands later, ALL of them work uniquely and have helped me create some really gorgeous and fun items for my home. 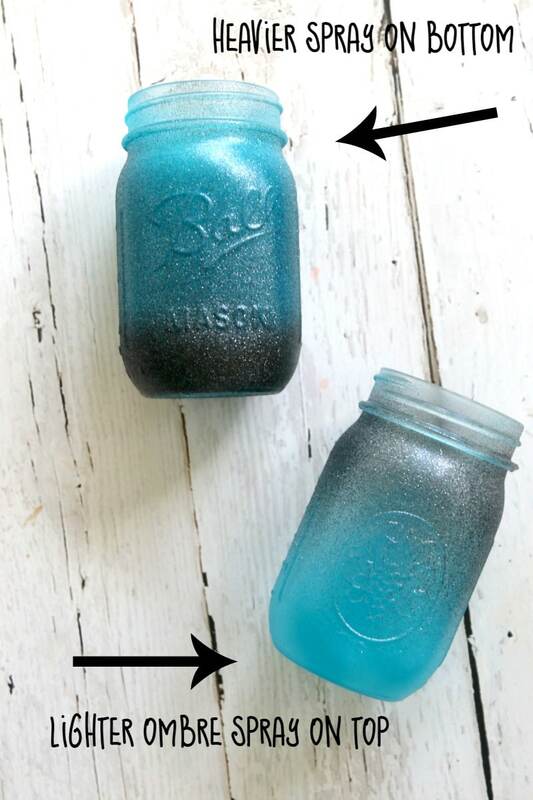 And considering glass was 50% off today, I would have to say now is the time to stock up for mason jar crafts. 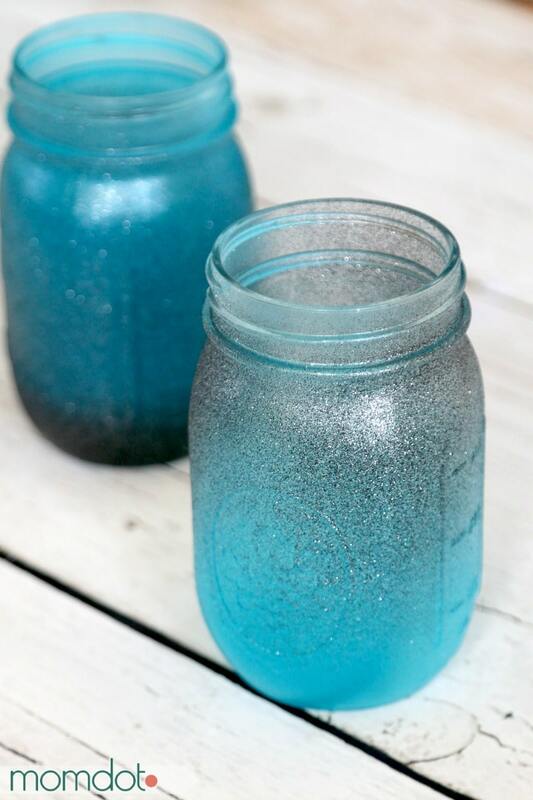 The first mason jar idea I really wanted to show off is actually two parts; First, I am going to show you the Seaglass spray and glitter spray, to give you some ideas on how you can dress up jars for decor, flowers, gifts or even mason jar centerpieces for weddings. 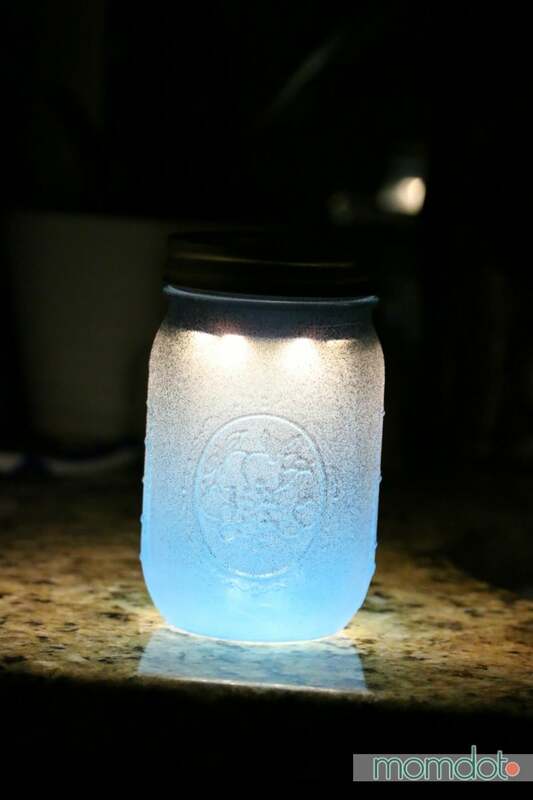 The second part is how to take that gorgeous mason jar and turn it into a no flame, kid safe nightlight. 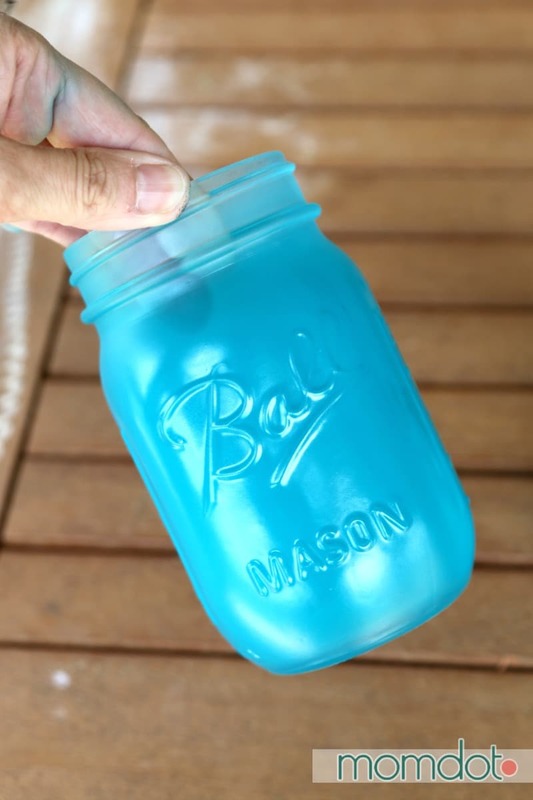 You know, for us Southern “Mason Jar all the things” mamas out there like moi. VIDEO of how it works! 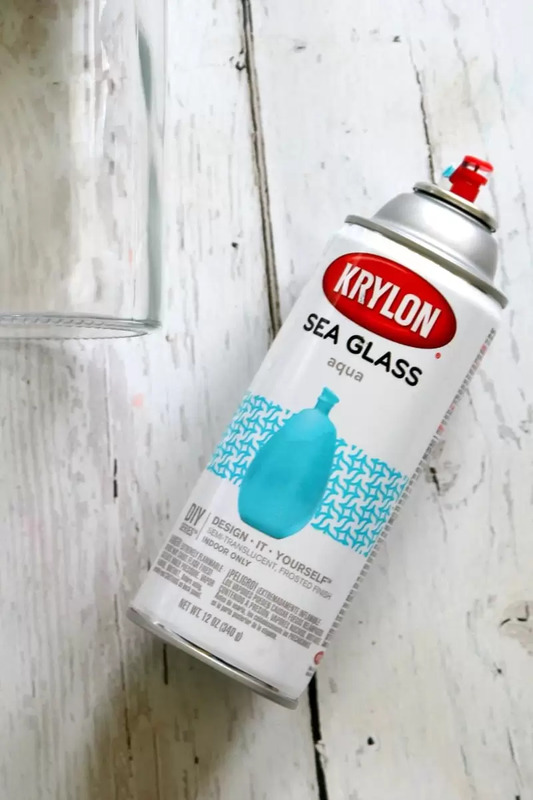 First, let’s work on turning your plain old mason jars into sea glass mason jars. This paint is AWESOME. I made two jars, two different styles. 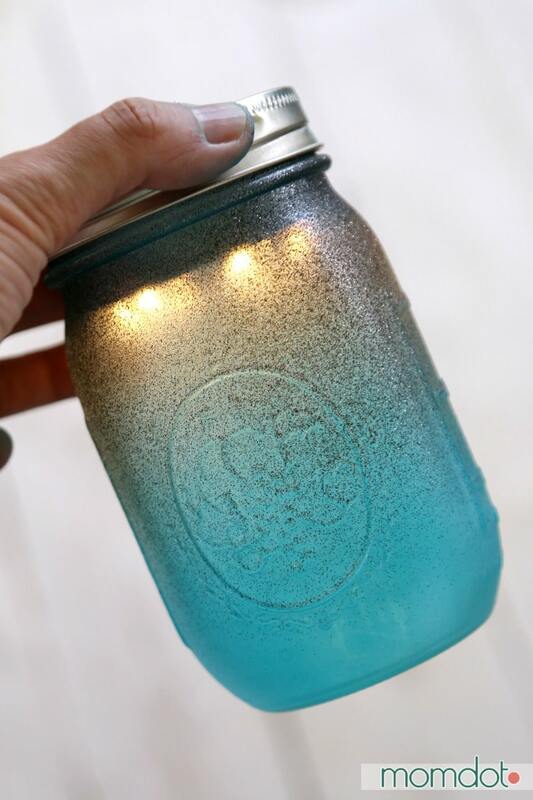 The first mason jar (1st pic) I did an ombre, which was a heavier spray on the bottom and a lighter spray on the top. The other mason jar I painted sea glass heavier and more evenly around the whole jar (2nd pic). Now I used Krylon Glitter Blast in Starry night to Ombre one of the jars starting from the middle up and the other one, I did a heavier coat on the bottom to reverse the look. I really just chose to do this to show off styles and see if I had a preference. I didn’t- I liked them both! Here is where the fun begins. You could at this point leave your ultra cute sea glass sparkly jars alone and fill them with flowers. But not here! I wanted to show the easiest way to take your jars and turn them into a no flame nightlight or centerpiece. You will need a Loew Cornell TransformMason LED Lighted Lid Insert – one for each jar that you want to glow. I bought mine at Hobby Lobby for $6.99. It comes apart and you add batteries to it. Then you snap on the lid, which inserts inside the mason jar screw on lid. After that, it’s a push button that you can easily turn on and off. Need to see a video? So how fun was THIS slew of ideas! Now trust me, this whole thing was crazy easy. I might have some dirty hands from back spraypaint, but you could pump out hoards of these quickly if you needed to. I can’t wait to show you what we did w/ the marbelizing paint! Make sure you are following my Pinterest boards so you don’t miss it. I am so making this! Getting all that we need now 😀 How fun!